Well its been a productive winter and spring on the moors. 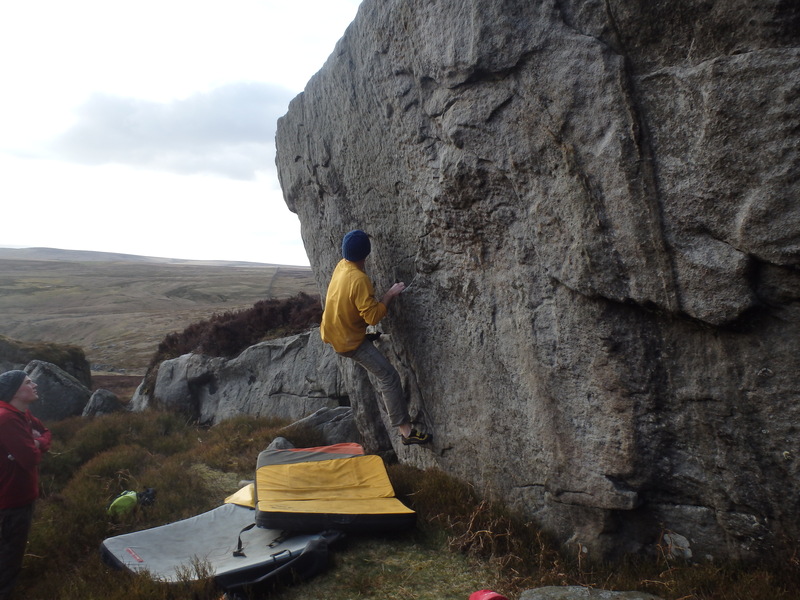 We recently received an update from Steve Milbourne about a nice traverse problem he’d done traversing below Leaning Block Art at Sharphaw and this prompted me to think about the need to get some of the venues updated. People have likely seen the video that Dave Sutcliffe has added (https://www.ukclimbing.com/videos/play.php?i=3627). Some fabulous stuff from Steve Dunning, Neil McCallum and himself. Well worth watching. There’s been a fair bit of development at Yeadon by Will Hunt, Dom Wragg (and a cast of thousands) Alex Thompson, myself and probably lots of people we’ve yet to find out about….. Perhaps best of the bunch is the left arete of The Prune by Will Buck. One thing is for certain. We haven’t run out of good rock yet.